Cost is probably the most important thing to consider before you set up anything. Before you adopt anything in your business the first thing that comes to your mind is- How much will it cost me? You don't want to invest in anything which you cannot sustain going forward. Get the quotation of all the service providers in the region and look for pros and cons for each of the service provider. Online review sites on the web, such as Bestonlinereviews.com could also provide you the information you’re looking for. 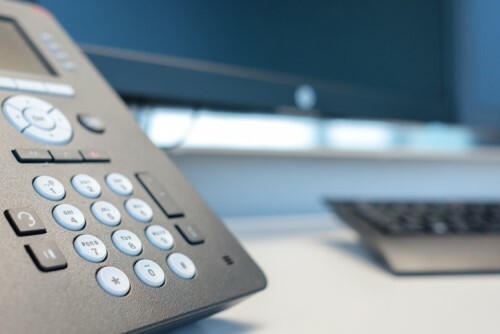 Often the VoIP connection comes with a package such as access to boundless calling, fundamental queuing administrations for approaching calls and so on. As important these features may be for your organization, price, however, is the most important deciding factor for selecting the service. If you want to set up your business voip, a reliable internet is probably the most basic and default thing to look out for. Without a dependable Internet, it is rather meaningless to setup VOIP in your workplace. With the advancement of the telecommunication technology a reliable and fast internet connection is quite easy to get and so is the procedure for setting up VOIP. All things considered, guaranteeing that you have a fantastic Internet is the most basic thing to move over to VoIP. VoIP is an Internet alternative for making and getting calls using the internet as opposed to the traditional method of calling which is the telephone, the current hardware that the organization uses for call must have a slot for attaching the LAN wire for Ethernet. If not, you will have to decide on how many sets of telephone with Ethernet port you wish to buy and how would like to implement this also based on your requirement you also need to check with your supplier how quickly can they supply sets in case if you need additional sets. Employees run the company and without any proper training, it would always be difficult for any employee to switch over to a new technology. A frustrated employee is never a good sign for any company. Ensure your employees have required an amount of skillset and learning they require before you totally switch over. You'll spare yourself time and efficiency by having everybody up to speed. Nothing will be more disappointing for your whole group than having the new technology go live and have no clue how to use it. Many times, we've found poor network components to be the culprit behind voice quality problems. An office which already has a congested network is bound to face problems such as bad voice quality or even complete downtime because the VOIP which will be installed will occupy the same congested network. A way to avoid this problem is to ensure that you don’t face a bottleneck in the network and the network hardware such as switches/hubs. Verifying that all components are up to date will save you time, money, and a lot of headaches in the long run. Having an expert do an analysis of your network will help identify potential problems. Support is probably the most important thing that you need after you have setup the VOIP infrastructure. On the off chance that you maintain a worldwide business with round-the-clock needs, you will need to discover a specialist that can ensure your inquiries will be addressed quickly. In the event that they can't offer that, you might need to look somewhere else, particularly if your telephone framework is the primary technique for speaking with customers. If you follow the above-mentioned guidelines, transitioning to VOIP should be an easy and happy process for you.